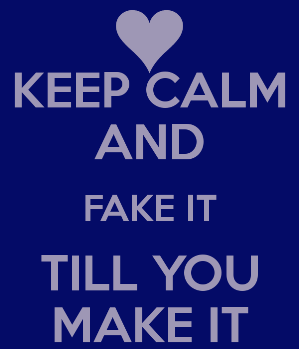 Just fake it ’til you make it. It’s a controversial statement, but like most other things, it has its uses, especially when it comes to confidence and body image awareness. An article on Greatist.com discussed how “fat talk” affects the way we’re perceived by others. Included in the article was some research on negative self-talk and how it affects women. Something I found incredibly sad was the statement,“’Fat talk’ has become so common that people think it’s more typical for women to make negative statements about their bodies than to make positive comments.” Unfortunately, I believe this is very true. Women are so quick to criticize themselves and their body, and I’m no exception and was especially guilty of this during my three year episode of disordered eating. Before I developed disordered eating habits I liked how my body looked and didn’t obsess over my perceived flaws. But, as I started to compare myself to other women, I became more aware of things I didn’t like or thought needed to be “improved”. As a result, I started to feed myself negative self-talk about how I needed to “fix that“, lose fat, how I needed to work out harder, how certain body parts just weren’t good enough, and other derogatory comments. I believe that, because I experienced it personally. As the frequency and type of negative self-talk increased, my disordered and binge eating habits grew worse. It was a vicious cycle that kept feeding itself, and growing. Someone once told me it all comes down to the information you feed yourself because what comes in forms you. What information are you feeding yourself? What do you say about your body? Do you constantly nit-pick and look for things to improve? Are you saying more negative things than positive? Your thoughts and self-talk greatly affect how you perceive yourself in the short- and long-term. Not only can this lead to a great dissatisfaction with your body, but it can also lead to a decrease in self-confidence, and even disordered eating. What you say to yourself can either hurt or heal. Choose your words wisely. You May Have to Fake It . . .
“What do you mean ‘fake it ’til you make it’?” you may be wondering. Well, if the only things you say or think about your body are negative, you constantly try to fix your “flaws”, you lack self-confidence, or you’re striving for some “ideal” body image, then you may need to fake it at first. By “fake it” I mean make it a point to say only positive things to yourself, even if you don’t believe it all right now. I’m not suggesting you tell yourself you look like a runway model or something silly like that. But you MUST love yourself as you are now. You must be do these things – eat well and work out – because you love your body. Because you want to become a better, stronger, more confident version of yourself. 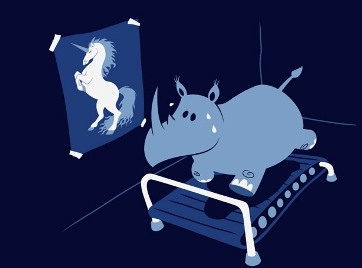 This is part of what I call The NEW Definition of Fitness. Feed yourself positive thoughts and good things, even if you don’t believe them just yet. Don’t say things that hold you back or put you down. Embrace and liberally use words like awesome, strong, confident, beautiful, powerful, intoxicating, wonderful, intelligent, and other words that are dripping with love and positivity. If those words haven’t been part of your vocabulary for some time, this may be challenging. But do it anyway. The next time you look in a mirror don’t be so quick to hone in on your “flaws” and say something negative. Find something you like about yourself – even just something small – and say something kind. Again, you may have to fake this at first because the kind thoughts may not be sincere, but over time, you’ll realize how awesome you truly are. Furthermore, learn to appreciate your body for what it can DO and not just for how it looks. Appreciate your strength and physical abilities. Oftentimes this is easier than focusing on your physical appearance and can lead to greater self-confidence. Even if you don’t yet believe you’re beautiful, wonderful, strong, and confident, fake it at first. You know that repeating negative comments to yourself and fixating on your perceived flaws for an extended period of time leads to a bad body image and decreased self-esteem. Likewise, by doing the complete opposite, by only saying positive and uplifting things to yourself, you will have a better body image and greater self-confidence. Sure. You may have to fake it a bit at first, but as time goes on, you’ll realize how awesome you truly are. Not just for the way your body looks, but for what it can do. And not just for what your body can do, but because of who you are. Say positive things long enough and really focus on changing your mind and you will make it. You will become more confident. You will love your body. You will also realize that your self-worth is not directly related to your physique. Put good in and great will come out. As much as I would love to wave a magic wand and instantly improve your body image awareness and self-confidence, I can’t. You’re going to have to work at it, just like I did, and still do to this day. It’s going to take some effort and patience, but I can assure you it’s well worth the effort. Begin by becoming aware of when you say negative comments to yourself. When are you most likely to put yourself down? Is it when you look in a mirror, or go to the gym? Identify these situations and prepare for them. If you know every time you look in a mirror you say something hurtful, prepare beforehand and be armed with a compliment. Then say something positive. Realize your body does not make you who you are as a person. We all want to look and feel great. And there’s nothing wrong with that. The problem arises, however, when we wrap our entire existence and happiness around how we look. When all we think about is having a beautiful body. Again, I’m completely guilty of this myself at times. Every now and again I catch myself obsessing over something I don’t particularly like about myself. But then I stop and look at things from a different perspective. My body does not determine my self-worth. The people in my life who matter most to me don’t love me because of how I look. My better-half didn’t marry me because of my body. My value as a human being is not tied to my physique. Yes, my job is helping people “build a better body the sane and simple way”, but my job is also helping people put things in perspective. The process of building a better body should enhance the rest of your life and not dominate it. There are more important and wonderful things in life than stressing over achieving the optimal level of body fat, a perfectly proportional booty, or having a chiseled midsection. Putting this into perspective is freeing and often makes the journey to building a healthier, better looking body easier. When I sit and think about the events in my life that have brought me the most joy and greatest memories, they revolve around people and experiences. When I got married. When I took risks with my business. When I help people achieve their goals the sane and simple way. When I travel and experience new and wonderful things. The highlights of my life are not attaining a low body fat percentage, reaching an ideal weight, or even setting personal records in the gym. I eat well and train hard, but I do so in a sane and simple way that has allowed me to build a body I love without consuming my entire life. And I make it a point to focus on the things about myself I truly like. Keeping things simple, maintaining a positive focus, saying only positive things to myself, and putting things in perspective have helped me to love the body I’ve built. And over time, my body image awareness and confidence have continued to grow. Fake it, if necessary. Start saying positive, motivating, and uplifting things to yourself. Be quick to pay yourself a compliment and hone in on the things that make you wonderful. Even if you don’t mean it completely at first, you will. Feed yourself great things, and you’ll become great. Focus on your wonderful personality and what makes you unique. Discover what your body is capable of doing and appreciate it. Take the time to appreciate your body and what you like about it. Bottom line – if you engage in negative self-talk, commit now to changing that. Make an effort say positive things, even if you don’t yet believe them. Be consistent and great things will happen. After a while, you’ll no longer have to fake it. Join the Lift Like a Girl Revolution! Enter your email below to join the Lift Like a Girl newsletter. You’ll also get a free gift, just because you’re awesome.